You've searched the site, found a great nanny, conducted your interviews, checked references, ordered a nanny background report and are now ready to make your ideal candidate a job offer. Congratulations! Salary Now is the time to revisit the salary that you are offering. Please review our article on nanny salaries. When presenting your offer, be sure that you are disclosing if the salary is gross or net and be sure your salary is in compliance with the Fair Labor Standards Act (nannies must be paid minimum wage for each hour worker and live-out nannies, as well as some live-in nannies, depending where you live, are entitled to overtime). Taxes Now is the time to clarify the tax responsibilities for both you and your nanny. Remember, nannies are not independent contractors, they are employees for the parents for whom they work. As an employer, you are required to withhold and pay employment taxes. Remember, nanny employers who pay their nannies legally can take advantage of tax breaks. Please review our article on paying your nanny legally. Benefits Now is the time to present the benefits package that you are offering. 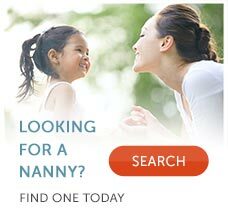 Standard nanny benefits include paid vacation, paid holidays, partial or full contributions to health insurance, sick time and personal time. Duties and Responsibilities When you present your job offer, clearly articulate the duties and responsibilities you expect your nanny to take on. Avoid using vague language. Instead of listing light housekeeping, define what that means, like wipe down the countertops daily and disinfect the children's play surfaces daily. A nanny's typical duties and responsibilities include all tasks related to childcare, including doing the children's laundry and keeping the children's areas neat, clean and organized. Hours Now is the time to clearly define the hours you require your nanny to work. Full-time nannies typically work 40 to 60 hours per week. While your nanny can work as many hours as you agree too, she must be paid for each hour worked and overtime, where required. Nanny Contract A written work agreement outlines the terms of employment that both parties agree to. Having a written contract allows you to be sure that there is no miscommunication and that the expectations of both the nanny and the parents are clear. For Gold and Platinum members of the eNannySource community, a sample work agreement is provided in the Nanny Success Kit. Our article on work agreements can help you to draft a comprehensive nanny/family contract. Consider a Trial Period Having a trial period can allow both the family and the nanny to confirm that they are a suitable match. If you are opting to have a trial period, be sure to be upfront about it and include the terms of the trial period in the nanny/family contract. Typical trial periods are 30 days. Deactivate Your Membership Once you've found a nanny, remember to deactivate your membership on eNannySource. Log in to the site and deactivate in the My Account section.